Population growth and limited resources put pressure on growers to produce more with less. Farmers must contend with increasing water shortages, limited land availability, and fluctuating costs. Simple IT enables innovative smart farming solutions to help farmers overcome these challenges. These agriculture IoT solutions allow farmers to leverage sensors, smart gateways, and monitoring systems to collect and analyze information and make more informed decisions. The Internet of Things (IoT) has the capability to transform the world we live in; more-efficient industries, connected cars, and smarter cities are all components of the IoT equation. However, the application of technology like IoT in agriculture could have the greatest impact. The global population is set to touch 9.6 billion by 2050. So, to feed this much population, the farming industry must embrace IoT. Against the challenges such as extreme weather conditions and rising climate change, and environmental impact resulting from intensive farming practices, the demand for more food has to be met. 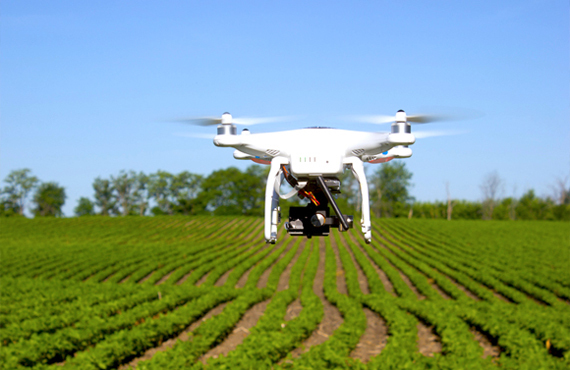 Smart farming based on IoT technologies will enable growers and farmers to reduce waste and enhance productivity ranging from the quantity of fertilizer utilized to the number of journeys the farm vehicles have made. So, what is smart farming? Smart farming is a capital-intensive and hi-tech system of growing food cleanly and sustainable for the masses. It is the application of modern ICT (Information and Communication Technologies) into agriculture. 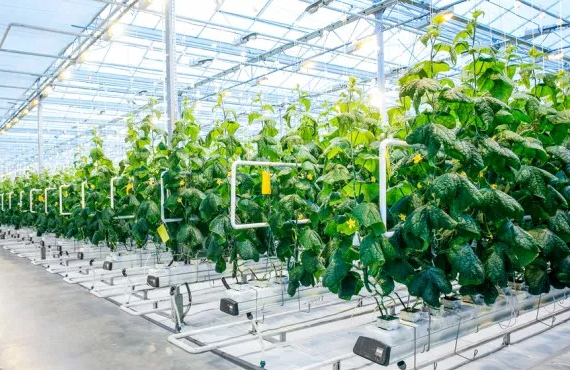 In IoT-based smart farming, a system is built for monitoring the crop field with the help of sensors (light, humidity, temperature, soil moisture, etc.) and automating the irrigation system. The farmers can monitor the field conditions from anywhere. IoT-based smart farming is highly efficient when compared with the conventional approach. The applications of IoT-based smart farming not only target conventional, large farming operations, but could also be new levers to uplift other growing or common trends in agricultural like organic farming, family farming (complex or small spaces, particular cattle and/or cultures, preservation of particular or high quality varieties etc. ), and enhance highly transparent farming. 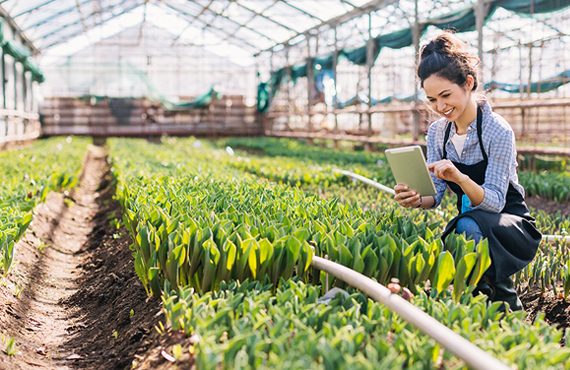 In terms of environmental issues, IoT-based smart farming can provide great benefits including more efficient water usage, or optimization of inputs and treatments. Now, let’s discuss the major applications of IoT-based smart farming that are revolutionizing agriculture. Indoor farming is a method of growing crops or plants, usually on a large scale, entirely indoors. This method of farming often implements growing methods such as hydroponics and utilizes artificial lights to provide plants with the nutrients and light levels required for growth.A wide variety of plants can be grown indoors, but fruits, vegetables, and herbs are the most popular. Indoor farming, often referred to as indoor gardening, can be used on both small and large scales, in home and commercially. However, indoor farming has a particular popularity in large cities where plots of land, in any size, are not readily available for growing and farming. On a large scale, indoor farming is being used to help bolster local food supplies and provide fresh produce to communities in large cities. Many of these farms are vertical farms and can produce much more crops in a small area than can be produced in outdoor, soil-based farms. However, not all indoor farms are built on such a large scale. Some indoor farms can be created in an area as small as a basement and used by a single gardener to provide fresh produce for their home. Most indoor farming uses a combination of hydroponics and artificial lighting to provide plants with the nutrients and light they would only receive when grown outdoors. 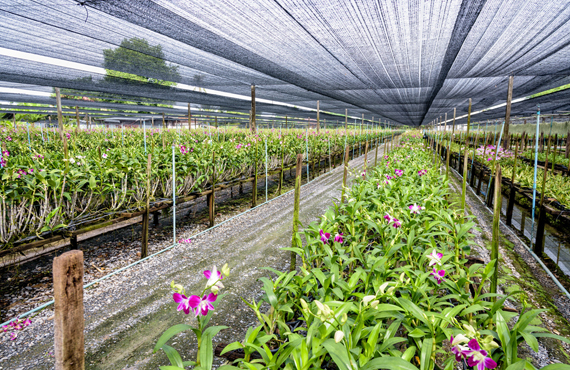 However, some indoor farming methods, like those implemented in greenhouses, can use a combination of natural and artificial resources. When growing indoors, many indoor farmers appreciate having more control over the environment than they do when they are using traditional farming methods. Light amounts, nutrition levels, and moisture levels can all be controlled by the farmer when they are growing crops solely indoors. Although growing plants indoors can limit growing options, gardeners and farmers have a wide variety of plants to choose from when deciding what to grow indoors. Some of the most popular plants grown indoors are usually crop plants like lettuce, tomatoes, peppers, and herbs. 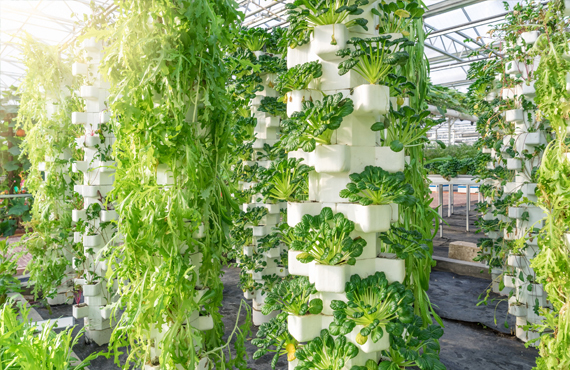 A vertical farm grows plants and produce in a vertical orientation, maximizing the use of the location’s square footage. Most often this is achieved through the use of growing shelves suspended on a wall or fence. Because vertical farming uses so little space, it is a popular and preferred method for roof-top and other urban forms of agriculture.Vertical farming is a common method of growing produce in an indoor environment (e.g., a building or walk-in container) with carefully controlled conditions and lighting. Some vertical farms have conditions similar to greenhouses, using natural sunlight and primarily solar heating during the day. Other vertical farms are completely indoors, using artificial lighting and humidity and heating controls. 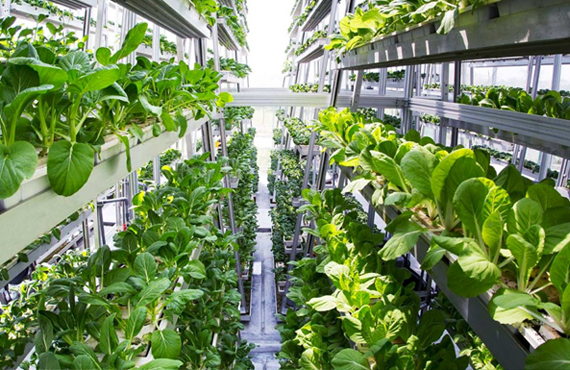 Lettuce, kale, and other forms of greens are the most common vegetables grown in vertical farms. Some crops like corn or grain just are not practical for this form of agriculture. Outside vertical farming dates back to the French method of growing vertical fruit trees by pruning espalier, a method of pruning a fruit tree so that it doesn’t have the branching effect of conventional orchard trees and can be grown in a vertical orientation on a trellis or fence. Some vineyards prune and grow grapes in a vertical orientation.